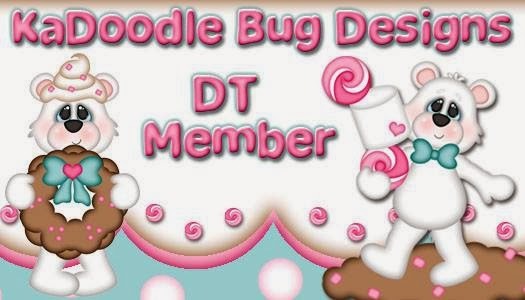 If you came here from Michelle - http://mumoftwoblog.blogspot.com you're in the right place! I used some pea pod and maraschino twine which can be picked up in my online store. This cute little guy is on an action wobble. I will be choosing one lucky person to win a set of 6 action wobbles. All you have to do is comment below and be a follower of my blog. I am the last stop on this fun little bear parade incase you missed a day here is the full line up. He just looks like he is ready to lead Santa, so cute! Your Rudolph is "beary" cute. Great background paper. Awwww your Reindeer Bear is so cute!! Gosh you did a great job on your card and I love your touches of the twine and the added wreath and holly. Sweet, sweet little reindeer! Your card is adorable! What a cute reindeer bear. Love the paper and twine. Super cute card!! Love the saying!! Your reindeer is so adorable. Reminds me of the antler put on a dog! Super cute. Love your north pole teddy bear. He's so darling! Thanks for sharing. adorable... I am a follower. Such a perfect reindeer bear for Christmas and cute sentiment. Love the holiday variations this cart offers. I just love your card, you did an amazing job with it and I love the papers you chose. This little reindeer is so super adorable! I love the sentiment on there also, so fitting! cute little reindeer bear, just too adorable. 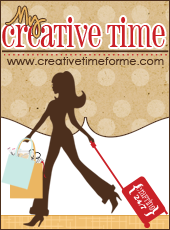 you are the perfect ending to a perfect blog hop! TSMFS! 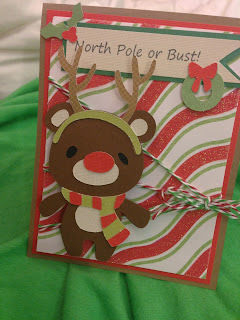 Super Duper Cute Reindeer!Adorable card!! A precious finale to this blog hop. Absolutely love this bear. super cute santa card. Love the touch of the twine! He is just to darn cute. Love it. Thanks for sharing. O NO THAT PUSHED ME OVER THE EDGEEEEEEE!! Love the whole card. 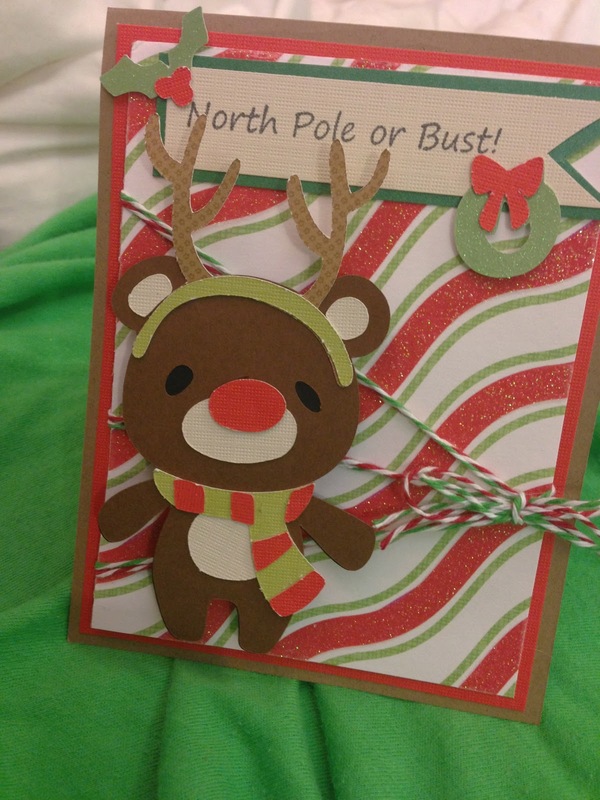 The reindeer is gorgeous and it is just the right background paper!